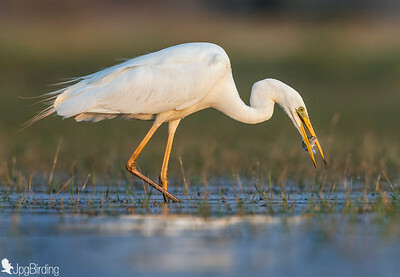 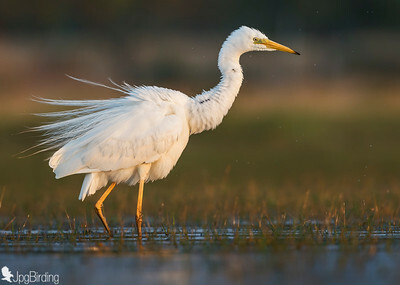 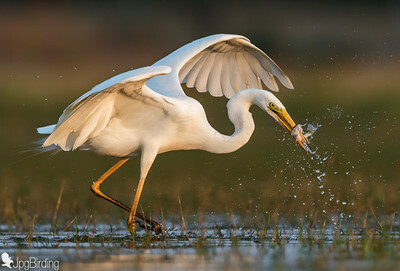 The Great Egret (Ardea alba), also known as Great White Egret, Common Egret, Large Egret or Great White Heron,is a large, widely-distributed egret. 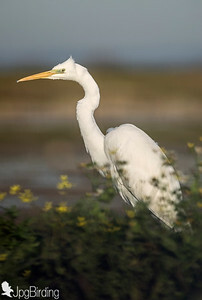 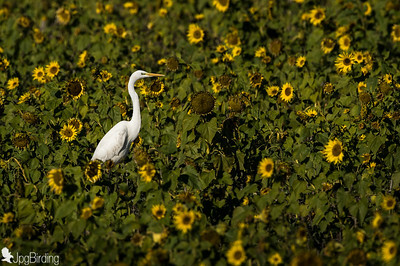 The Great Egret is a large heron with all-white plumage. 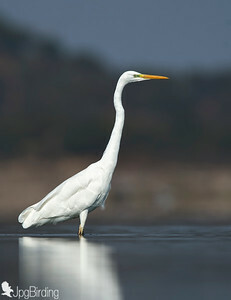 Standing up to 1 m (3.3 ft) tall, this species can measure 80 to 104 cm (31 to 41 in) in length and have a wingspan of 131 to 170 cm (52 to 67 in). 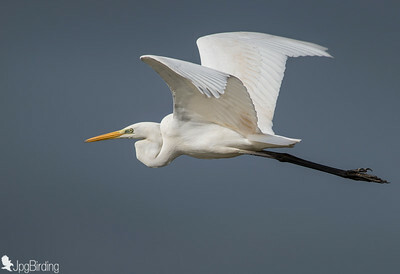 Apart from size, the Great Egret can be distinguished from other white egrets by its yellow bill and black legs and feet, though the bill may become darker and the lower legs lighter in the breeding season. 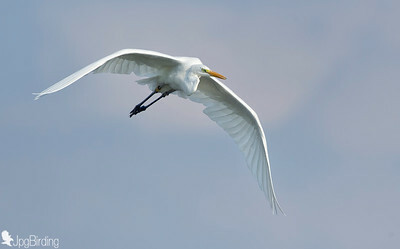 In breeding plumage, delicate ornamental feathers are borne on the back. 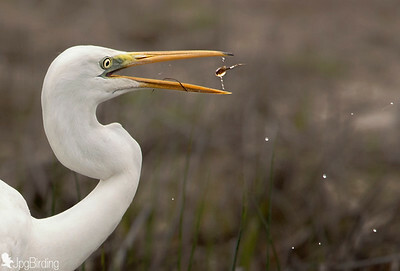 Males and females are identical in appearance; juveniles look like non-breeding adults. 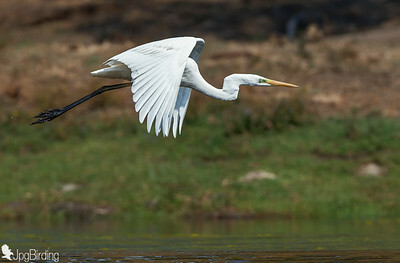 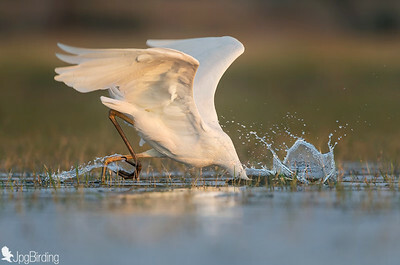 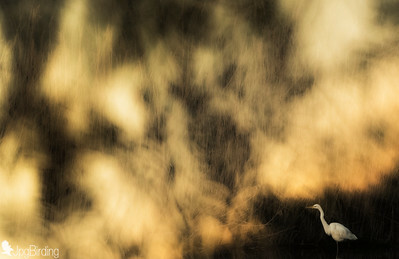 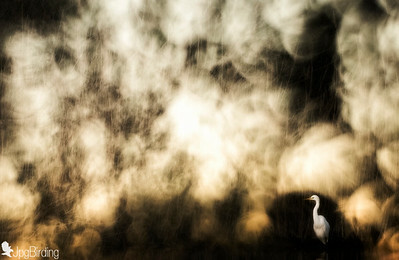 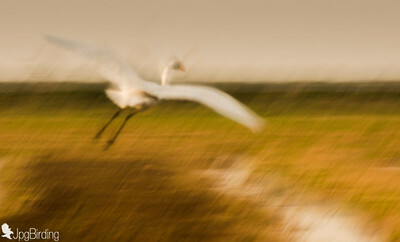 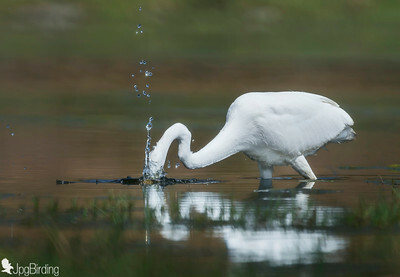 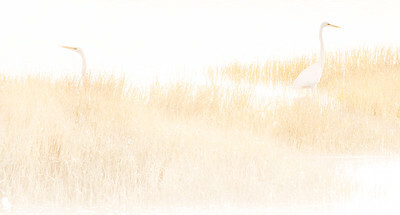 Great Egret .... 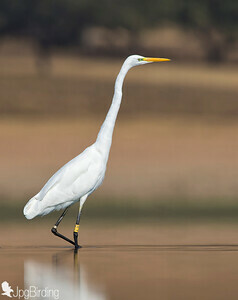 Walking on the water.